Sick and Tired ($0.25) Price History from major stores - Urzas Legacy (Foil) - MTGPrice.com Values for Ebay, Amazon and hobby stores! 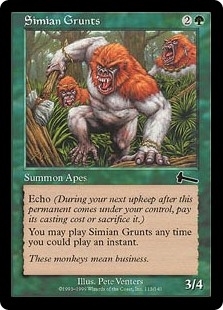 Card Text: Two target creatures each get -1/-1 until end of turn. 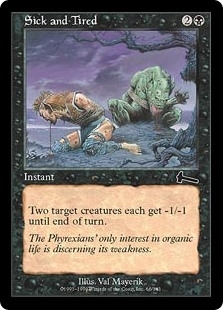 Flavor Text: The Phyrexians' only interest in organic life is discerning its weakness.